Scholastic, the global children’s publishing, education and media company, today announced that a donation of 100,000 new children’s books from The Scholastic Possible Fund will be donated to children in need this holiday season through three non-profit organizations that work to improve global literacy: Toys for Tots (49,200 books), Save the Children (31,700 books) and Room to Read (19,100 books). 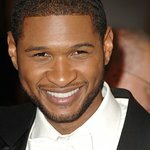 The donation was made together with Usher and his New Look Charity, a 501c3 organization that develops youth from underserved communities into global leaders. Usher recently joined with Scholastic to launch the new “Open a World of Possible” initiative, designed to elevate the importance and joy of reading for all children. Research and resources are available at: www.scholastic.com/worldofpossible.